Electronic drum machines are an extremely popular tool in the arsenal of producers, DJs, and live performers. These are actively used in musical styles that require solid drum rhythms. They are also favored by minimal music outfits and solo artists that do not have a drummer. These devices are also a lot more practical to transport around than a physical drum kit. 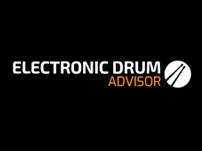 Despite the explosion in use of digital audio workstations and software-based instruments for live performance (such as Ableton Live or MASCHINE), standalone electronic drum machines still holds a very strong position in music scenes. In addition to this, some drum machines nowadays (such as the Native Instruments and AKAI models below) are actually controllers for software-based instruments. 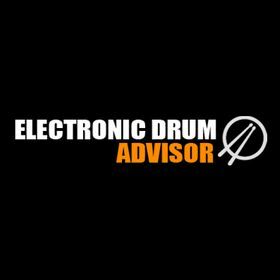 We’ve reviewed the top electronic drum machines on the market. A drum machine in a guitar pedal! Editor's Choice - Roland's flagship drum machine. This is an absolute powerhouse. 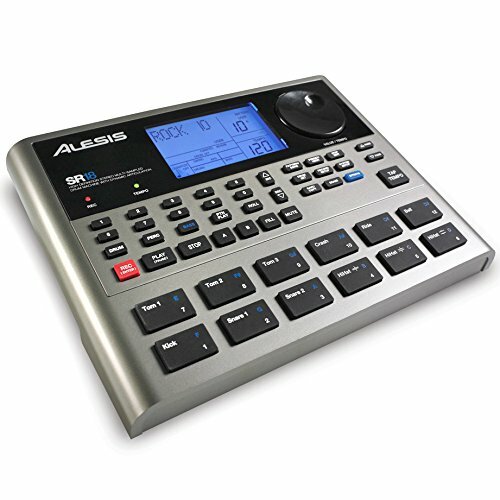 The Alesis SR 16 is one of the most popular rhythm machines ever produced. It is a standalone drum machine and has been actively used for twenty-seven years. Since its introduction in 1990 to the present time, this electronic drum machine has been developing simultaneously with the electronic music scene. Many people are even surprised that they’re still making these. Oftentimes, all you want is a basic, compact, and easy to use drum machine that will suit your needs. The Alesis SR16 is a great choice for this. You can use the sound as dry tones or pair them with en-suite digital reverbs. There are a wide amount of internal drum sounds available. It is MIDI compatible so you can connect this to other music gear and sync the timing or record externally. You can connect footswitches to the SR16 to start/stop loops and perform other functions. Is the SR16 the best drum machine in the world? Absolutely not, but it’s a great, cheap, compact option that has suited the needs of many different musicians. This might be another surprising option to see on this list. 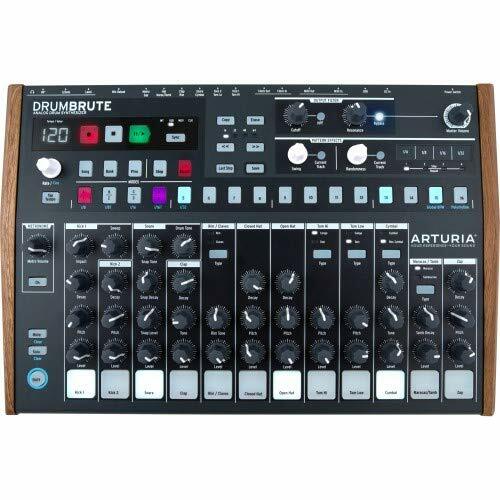 If you’re looking for a really cheap drum machine that actually has loads of cool sequencing and parameter tweaking options then check this one out. If you get this, you’ll also end up looking like a modular synth guru to all of your friends #winning. It’s battery powered by 2 AAA batteries (that’s right… that’s all that’s required to power this!). It has sixteen different sounds, which sound pretty cool and you can sequence these to sound really cool. This device has a much greater variety of sound than you might expect, it contains parameter tweaking knobs that really allow you to change the sound (check it out in the video below). 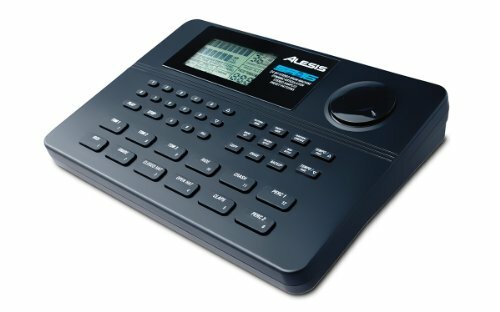 The Alesis SR18 is a newer version of the SR16. It sounds better and has a lot more sounds, though it still works off very similar technology to the Alesis SR16. If you’re looking for a standlone, compact, and easy to use drum machine then this may be a great answer, though with the money your spending here, you could definitely opt for a more fully fledged drum machine. These also come with sensitive pads, they can be powered by batteries (which is a great advantage) or via AC power. It allows for both MIDI In and Out and you can there are 2 different footswitch inputs (one for Start/Stop and the other for Count/A/B/Fill). If you want all the benefits of the SR16, but want better sounds and great variety of them, then check out the Alesis SR18. 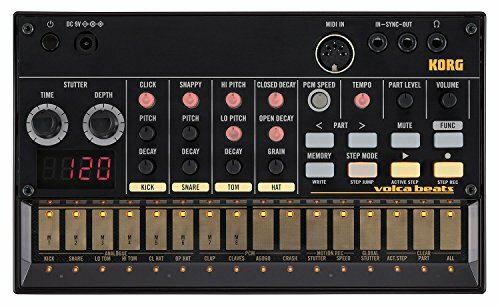 The Korg Volca Beats Analog Rhythm Machine is a very high quality analog drum machine. Using Analog synthesis can really take your sound to a whole different level when compared to digital. If you’re producing your own music then you should really check this one out. For starters, this electronic drum machine comes with a first-class step sequencer that will turn the editing experience into a seamless music joy. Also, you can produce the notes you need to make music on this device with 16 different step keys. At the same time, you can follow the timing of every note, so as to stick with the rhythm and tempo of the track. Regarding the PCM sound engine, its greatest benefit is the option to generate sounds like Claves, Agogo, Clap, and Crash, which don’t fit with the analog synth sound. Also, the ability to produce the appreciated lo-fi sound that was popular in the 1980s makes the Korg Volca Beats a true blast from the past. The Korg Volca Beats can be loaded with your own rhythm samples, since it allows recording up to 10 instruments, creating distinctive polyphony. A specific characteristic of this rhythm machine is its unique sound. It can be explained as a bit brassy, bassy and blaring. Therefore this may be more suitable to lovers of techno. This device’s portability makes it a great choice. It can be powered by batteries as well as AC power. Also, it’s integrated speakers are a great benefit. Want a drum machine but your hands are too busy playing other music instruments? 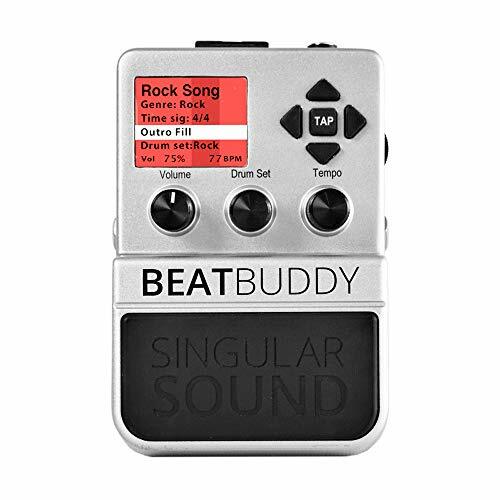 Check out the Singular Sound BeatBuddy, it’s a drum machine that’s operated like a guitar effect pedal. The sound quality here is very good, the build quality is excellent, and it has a generous amount of different built-in sounds. You can add your own patterns and rythms, and download other ready-made songs. It’s difficult to get more compact than the BeatBuddy, put it along side your other pedals and introduce a whole new rhythm section to your playing! There is also an even more basic version, which is called the ‘BeatBuddy Mini’, this has a more limited amount of features, but is still decent. You can also buy a separate dual footswitch that can be connected to this. This allows you to do some extra stuff, such as drum pauses and emphasized hits. The Roland TR-8S is Roland’s flagship drum machine and it follows on from the hugely popular Roland TR-8. 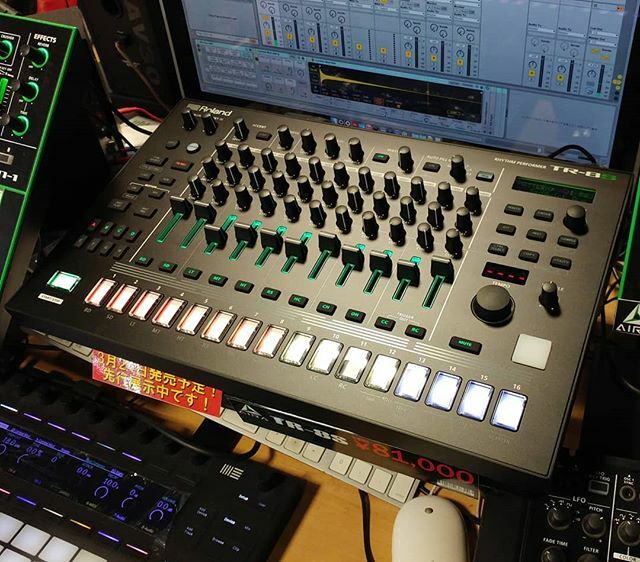 The machine has all of Roland’s circuit model drum machines built into it (for example, the iconic 808 and 909 drum sounds) as well as the capability for you to import your own samples. This machine has an amazing depth of effects can be added on a channel-by-channel basis. It’s not just drum sounds that you get with the TR-8S, you also get synth type sounds, so this drum machine could literally be your entire live production setup if your music style allows it! Let’s face it, Roland’s offerings are often a little on the expensive side, but when it comes to electronic drums, their quality can be difficult to match. This is another Analog drum machine for people that are serious about music production. It provides seventeen different fully analog percussion instruments, which includes a fantastic sequencer and an amazing depth of effects. It has classic drum sounds with very modern interface and effects. If you’re looking for realistic acoustic drum sounds then obviously this is not what you should get, but if you want great, tweakable, modulating analog sounds then this is a great option. It includes a great amount of connectivity, MIDI In/Out and Sync, it includes 12 individual outputs, which is amazing when recording or sending to a mixing desk for live performance. However, they use 1/8 inch connectors rather than 1/4 inch, which can be annoying as you would need to get either connectors or separate cables. What’s the difference between a Drum Machine and a MIDI Drum Pad? A hardware drum machine (such as all 7 options mentioned at the top of this article) are standalone drum machines that often create classic type sounds. This can often be achieved through use of digital or analog synthesis, as well as using stored samples. Hardware drum machines have audio outputs that can be connected directly to a mixer or amplifer so that you can hear the sounds. MIDI drum pads are basically MIDI controllers that need to be connected to music software (such as Ableton, Cubase, Logic, GarageBand, etc.) or other music gear. 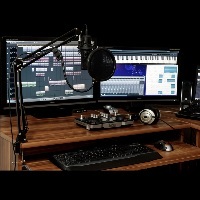 If you already know how to use music production software then these can be a great option for you because they are often much cheaper and would need to be recorded separately. If you’re interested in checking these out then check out our article on the best MIDI drum pads. The Akai Professional MPD218. Akai is a very well respected brand in music production. If you opt for this MIDI drum pad, you can count on 16 thick, conveniently organized MPC pads. Moreover, the Akai Professional MPD218 comes with 6 knobs and 48 pads altogether, which can be accessed through 3 banks. Also, the pad controllers are arranged in a player-friendly way, so that the arranger can smoothly finger drum while making their own music. As for the power supply, this drum machine can be directly connected to a computer via a USB-cable. There is no need for a separate AC-adapter. The guys from Akai have bundled a plethora of free software packages along with this, including the Akai Pro MPC Essentials, Big Bank Universal Drums, Ableton Live Lite and SONiVOX Big Bank Cinematic Percussion from the Akai website. Further, the Akai Professional MPD218 is compatible with all the major operating systems, so that you don’t have to install any additional drivers while connecting this electronic drum machine to your computer. Note: this device is a MIDI controller and must be used in conjunction with a DAW. However, software is bundled with the device. How can I record my drum machine to my computer? It’s quite easy to record audio from a drum machine to your computer, though you need an audio interface. Alternatively, you can hook the MIDI signals up to your music production software. This all uses almost the exact same process as recording electronic drums, so be sure to check out our article on how to record electronic drums to your computer. Can drum machines be run on battery power? Some do and some don’t. Make sure to check the specs before buying. 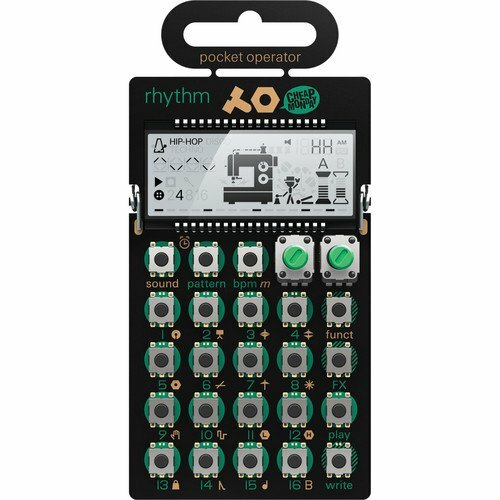 If you’re planning to use the drum machine for quick setups and street performing, than having a battery powered device can be a big advantage. Most drum machines have MIDI In/Out capability as well as MIDI Sync capability. MIDI In means that it can accept MIDI signals from other devices. You could trigger sounds from another piece of gear in this case. MIDI Out means that you can trigger sounds and actions on external gear or music software. For example, hitting a button on your drum machine could trigger a synth loop on Ableton live! MIDI Sync allows your drum machine to stay in time with other music gear, or be the ‘master’ click that other music gear stays in time to. That’s just a basic overview of how these functions can be used. Analog or Digital Drum Machines? Analog synthesis relies solely on resistors, transistors, capacitors, and other components to generate the drum sounds. Analog synthesis is often viewed as the highly favorable option because it gives a more authentic, warm sounds with very subtle random overtones and elements can be very difficult to element using alternative means. Digital drum machines come in two flavors: They either playback samples or actually generate the sounds using digital synthesis. Digital synthesis often tries to emulate analog synthesis as much as possible, but can never fully emulate the analog sound. Samples can be either recordings of drums or they can be recordings of analog synthesis! Digital devices are usually cheaper. If you’re looking for something cheap or entry-level then you can go with a digital drum machine. If you’re really serious about producing and performing then it can really be worth spending the extra money on Analog gear. All of the drum machines above are great options. If you’re on a budget and want something compact, then the Alesis SR16 is a really decent option. It’s a tried and tested machine that has been popular for many years. 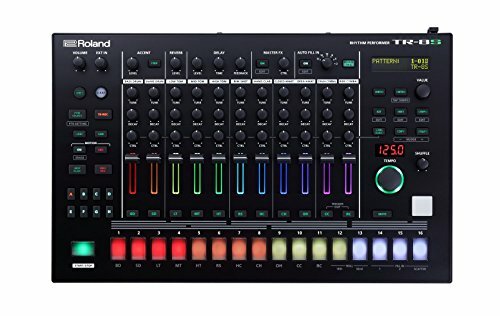 Our high-end pick is the Roland TR-8S, which has practically everything you could need in a drum machine and sequencer. If you’re really serious about making music then you should really check this out. Before picking a drum machine, make sure to ask yourself are you want to get a standalone hardware drum machine or if you just need a MIDI controller that could be hooked up to your music production software!